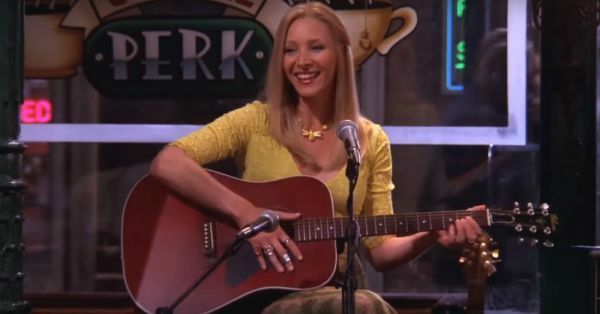 10 Life Lessons We Learnt From Phoebe From F.R.I.E.N.D.S.! Remember “Smelly Cat”? She sang her heart out whenever she had the chance. Like the time she bought Santa pants to wear as maternity pants because they were SO comfortable! And to do that, you have to be a bit sharp sometimes. Like when she stood up to Monica’s strict schedule during her wedding! Even if that means you look like a mad person when you go for a run! Always encouraging her friends. Even gave Ross ‘Geeky’ Gellar an ego boost with this sentence - “Where is my Ross Skywalker to come rescue me?”. Pure genius! Contributed by: Nellini Singh Nellini is currently pursuing a degree in Mass Media at HR College, Mumbai. Her motto in life is to eat, sleep, chill, repeat! She is also a foodie and a travel enthusiast. GIFs: Giphy MUST-READ: 7 Things You’ll Totally Get If You’re A North Campus Student! MUST-READ: 5 Life Lessons For EVERY Girl To Be Unstoppable! !